Offering you a complete choice of products which include stainless steel socket weld coupling, stainless steel 45 degree socket weld elbow, nickel alloys socket weld tee, alloy steel socket weld union, stainless steel socket weld cap and stainless steel socket weld union. 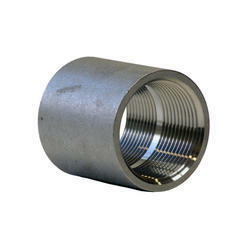 In Stainless Steel Coupling Socket Weld a pipe is put into a recessed area of a flange, fitting or a valve. They are mainly used in small bore piping. 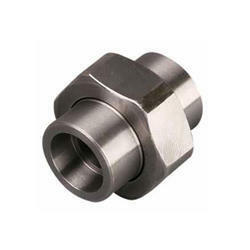 We, NeelKamal Steels supply a comprehensive variety of Stainless Steel Coupling Socket Weld that are available in various grades, dimensions and sizes.These premium quality Stainless Steel Coupling Socket Weld are mainly used in different industries like chemical, oil and gas, sugar, petroleum and many more. The main focus of our organization is our customer so we offer best quality Stainless Steel Coupling Socket Weld to them.These Stainless Steel Coupling Socket Weld are made up of high quality mild steel and carbon steel. All our products pass through quality testing on different parameters so there is no chance of any manufacturing defect. 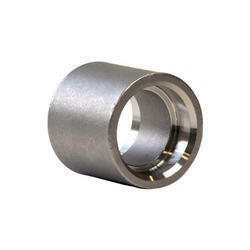 The raw materials that are used in making these Stainless Steel Coupling Socket Weld are of superior quality and they are procured from the trusted vendors. These Stainless Steel Coupling Socket Weld are durable and long lasting and they are available at an affordable price in the market. 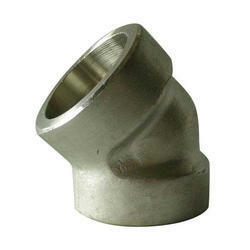 In Stainless Steel 45 Degree Elbow Socket Weld a pipe is put into a recessed area of a flange, fitting or a valve. They are mainly used in small bore piping. We, NeelKamal Steels supply a comprehensive variety of Stainless Steel 45 Degree Elbow Socket Weld that are available in various grades, dimensions and sizes.These premium quality Stainless Steel 45 Degree Elbow Socket Weld are mainly used in different industries like chemical, oil and gas, sugar, petroleum and many more. The main focus of our organization is our customer so we offer best quality Stainless Steel 45 Degree Elbow Socket Weld to them.These Stainless Steel 45 Degree Elbow Socket Weld are made up of high quality mild steel and carbon steel. All our products pass through quality testing on different parameters so there is no chance of any manufacturing defect. 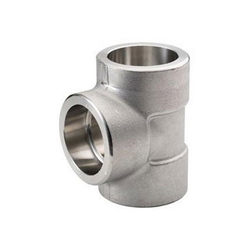 The raw materials that are used in making these Stainless Steel 45 Degree Elbow Socket Weld are of superior quality and they are procured from the trusted vendors. These Stainless Steel 45 Degree Elbow Socket Weld are durable and long lasting and they are available at an affordable price in the market. In Nickel Alloys TEE Socket Weld a pipe is put into a recessed area of a flange, fitting or a valve. They are mainly used in small bore piping. We, NeelKamal Steels supply a comprehensive variety of Nickel Alloys TEE Socket Weld that are available in various grades, dimensions and sizes.These premium quality Nickel Alloys TEE Socket Weld are mainly used in different industries like chemical, oil and gas, sugar, petroleum and many more. 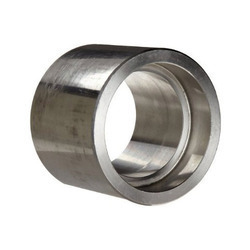 The main focus of our organization is our customer so we offer best quality Nickel Alloys TEE Socket Weld to them.These Nickel Alloys TEE Socket Weld are made up of high quality mild steel and carbon steel. All our products pass through quality testing on different parameters so there is no chance of any manufacturing defect. The raw materials that are used in making these Nickel Alloys TEE Socket Weld are of superior quality and they are procured from the trusted vendors. 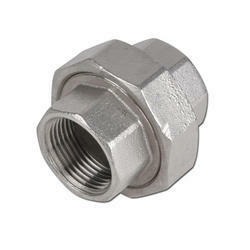 These Nickel Alloys TEE Socket Weld are durable and long lasting and they are available at an affordable price in the market. In Alloy Steel union Socket Weld a pipe is put into a recessed area of a flange, fitting or a valve. They are mainly used in small bore piping. We, NeelKamal Steels supply a comprehensive variety of Alloy Steel union Socket Weld that are available in various grades, dimensions and sizes.These premium quality Alloy Steel union Socket Weld are mainly used in different industries like chemical, oil and gas, sugar, petroleum and many more. The main focus of our organization is our customer so we offer best quality Alloy Steel union Socket Weld to them.These Alloy Steel union Socket Weld are made up of high quality mild steel and carbon steel. All our products pass through quality testing on different parameters so there is no chance of any manufacturing defect. The raw materials that are used in making these Alloy Steel union Socket Weld are of superior quality and they are procured from the trusted vendors. These Alloy Steel union Socket Weld are durable and long lasting and they are available at an affordable price in the market. In Stainless Steel Cap Socket Weld a pipe is put into a recessed area of a flange, fitting or a valve. They are mainly used in small bore piping. 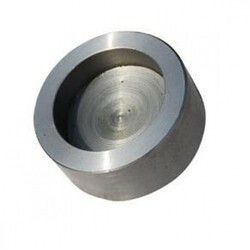 We, NeelKamal Steels supply a comprehensive variety of Stainless Steel Cap Socket Weld that are available in various grades, dimensions and sizes.These premium quality Stainless Steel Cap Socket Weld are mainly used in different industries like chemical, oil and gas, sugar, petroleum and many more. The main focus of our organization is our customer so we offer best quality Stainless Steel Cap Socket Weld to them.These Stainless Steel Cap Socket Weld are made up of high quality mild steel and carbon steel. All our products pass through quality testing on different parameters so there is no chance of any manufacturing defect. The raw materials that are used in making these Stainless Steel Cap Socket Weld are of superior quality and they are procured from the trusted vendors. These Stainless Steel Cap Socket Weld are durable and long lasting and they are available at an affordable price in the market. In Stainless Steel union Socket Weld a pipe is put into a recessed area of a flange, fitting or a valve. They are mainly used in small bore piping. We, NeelKamal Steels supply a comprehensive variety of Stainless Steel union Socket Weld that are available in various grades, dimensions and sizes.These premium quality Stainless Steel union Socket Weld are mainly used in different industries like chemical, oil and gas, sugar, petroleum and many more. The main focus of our organization is our customer so we offer best quality Stainless Steel union Socket Weld to them.These Stainless Steel union Socket Weld are made up of high quality mild steel and carbon steel. All our products pass through quality testing on different parameters so there is no chance of any manufacturing defect. The raw materials that are used in making these Stainless Steel union Socket Weld are of superior quality and they are procured from the trusted vendors. These Stainless Steel union Socket Weld are durable and long lasting and they are available at an affordable price in the market. 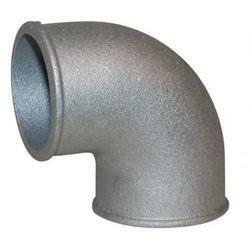 In Stainless Steel TEE Socket Weld a pipe is put into a recessed area of a flange, fitting or a valve. They are mainly used in small bore piping. 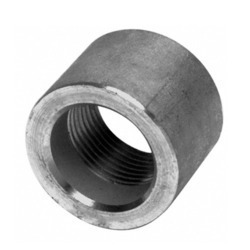 We, NeelKamal Steels supply a comprehensive variety of Stainless Steel TEE Socket Weld that are available in various grades, dimensions and sizes.These premium quality Stainless Steel TEE Socket Weld are mainly used in different industries like chemical, oil and gas, sugar, petroleum and many more. 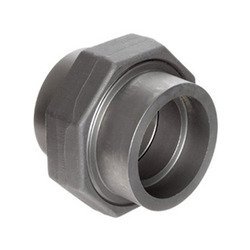 The main focus of our organization is our customer so we offer best quality Stainless Steel TEE Socket Weld to them.These Stainless Steel TEE Socket Weld are made up of high quality mild steel and carbon steel. All our products pass through quality testing on different parameters so there is no chance of any manufacturing defect. 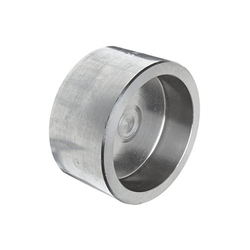 The raw materials that are used in making these Stainless Steel TEE Socket Weld are of superior quality and they are procured from the trusted vendors. 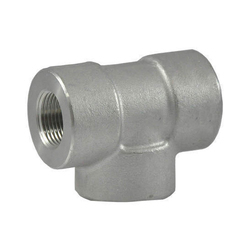 These Stainless Steel TEE Socket Weld are durable and long lasting and they are available at an affordable price in the market. 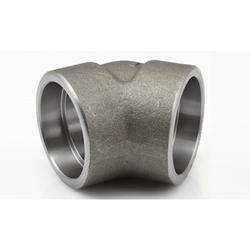 In Stainless Steel 90 degree Elbow Socket Weld a pipe is put into a recessed area of a flange, fitting or a valve. They are mainly used in small bore piping. We, NeelKamal Steels supply a comprehensive variety of Stainless Steel 90 degree Elbow Socket Weld that are available in various grades, dimensions and sizes.These premium quality Stainless Steel 90 degree Elbow Socket Weld are mainly used in different industries like chemical, oil and gas, sugar, petroleum and many more. The main focus of our organization is our customer so we offer best quality Stainless Steel 90 degree Elbow Socket Weld to them.These Stainless Steel 90 degree Elbow Socket Weld are made up of high quality mild steel and carbon steel. All our products pass through quality testing on different parameters so there is no chance of any manufacturing defect. 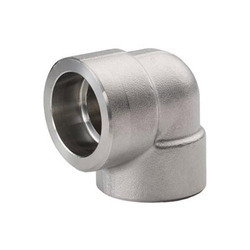 The raw materials that are used in making these Stainless Steel 90 degree Elbow Socket Weld are of superior quality and they are procured from the trusted vendors. 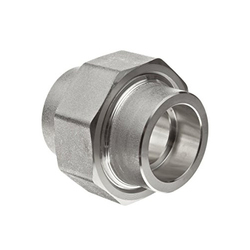 These Stainless Steel 90 degree Elbow Socket Weld are durable and long lasting and they are available at an affordable price in the market. In Stainless Steel Reducer Socket Weld a pipe is put into a recessed area of a flange, fitting or a valve. They are mainly used in small bore piping. We, NeelKamal Steels supply a comprehensive variety of Stainless Steel Reducer Socket Weld that are available in various grades, dimensions and sizes.These premium quality Stainless Steel Reducer Socket Weld are mainly used in different industries like chemical, oil and gas, sugar, petroleum and many more. The main focus of our organization is our customer so we offer best quality Stainless Steel Reducer Socket Weld to them.These Stainless Steel Reducer Socket Weld are made up of high quality mild steel and carbon steel. All our products pass through quality testing on different parameters so there is no chance of any manufacturing defect. The raw materials that are used in making these Stainless Steel Reducer Socket Weld are of superior quality and they are procured from the trusted vendors. These Stainless Steel Reducer Socket Weld are durable and long lasting and they are available at an affordable price in the market. In Stainless Steel Half Coupling Socket Weld a pipe is put into a recessed area of a flange, fitting or a valve. They are mainly used in small bore piping. We, NeelKamal Steels supply a comprehensive variety of Stainless Steel Half Coupling Socket Weld that are available in various grades, dimensions and sizes.These premium quality Stainless Steel Half Coupling Socket Weld are mainly used in different industries like chemical, oil and gas, sugar, petroleum and many more. The main focus of our organization is our customer so we offer best quality Stainless Steel Half Coupling Socket Weld to them.These Stainless Steel Half Coupling Socket Weld are made up of high quality mild steel and carbon steel. All our products pass through quality testing on different parameters so there is no chance of any manufacturing defect. 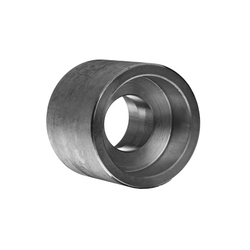 The raw materials that are used in making these Stainless Steel Half Coupling Socket Weld are of superior quality and they are procured from the trusted vendors. These Stainless Steel Half Coupling Socket Weld are durable and long lasting and they are available at an affordable price in the market. In Nickel Alloys 90 degree Elbow Socket Weld a pipe is put into a recessed area of a flange, fitting or a valve. They are mainly used in small bore piping. We, NeelKamal Steels supply a comprehensive variety of Nickel Alloys 90 degree Elbow Socket Weld that are available in various grades, dimensions and sizes.These premium quality Nickel Alloys 90 degree Elbow Socket Weld are mainly used in different industries like chemical, oil and gas, sugar, petroleum and many more. The main focus of our organization is our customer so we offer best quality Nickel Alloys 90 degree Elbow Socket Weld to them.These Nickel Alloys 90 degree Elbow Socket Weld are made up of high quality mild steel and carbon steel. All our products pass through quality testing on different parameters so there is no chance of any manufacturing defect. The raw materials that are used in making these Nickel Alloys 90 degree Elbow Socket Weld are of superior quality and they are procured from the trusted vendors. These Nickel Alloys 90 degree Elbow Socket Weld are durable and long lasting and they are available at an affordable price in the market. In Nickel Alloys Cap Socket Weld a pipe is put into a recessed area of a flange, fitting or a valve. They are mainly used in small bore piping. We, NeelKamal Steels supply a comprehensive variety of Nickel Alloys Cap Socket Weld that are available in various grades, dimensions and sizes.These premium quality Nickel Alloys Cap Socket Weld are mainly used in different industries like chemical, oil and gas, sugar, petroleum and many more. The main focus of our organization is our customer so we offer best quality Nickel Alloys Cap Socket Weld to them.These Nickel Alloys Cap Socket Weld are made up of high quality mild steel and carbon steel. All our products pass through quality testing on different parameters so there is no chance of any manufacturing defect. The raw materials that are used in making these Nickel Alloys Cap Socket Weld are of superior quality and they are procured from the trusted vendors. These Nickel Alloys Cap Socket Weld are durable and long lasting and they are available at an affordable price in the market. In Nickel Alloys Reducer Socket Weld a pipe is put into a recessed area of a flange, fitting or a valve. They are mainly used in small bore piping. We, NeelKamal Steels supply a comprehensive variety of Nickel Alloys Reducer Socket Weld that are available in various grades, dimensions and sizes.These premium quality Nickel Alloys Reducer Socket Weld are mainly used in different industries like chemical, oil and gas, sugar, petroleum and many more. The main focus of our organization is our customer so we offer best quality Nickel Alloys Reducer Socket Weld to them.These Nickel Alloys Reducer Socket Weld are made up of high quality mild steel and carbon steel. All our products pass through quality testing on different parameters so there is no chance of any manufacturing defect. The raw materials that are used in making these Nickel Alloys Reducer Socket Weld are of superior quality and they are procured from the trusted vendors. These Nickel Alloys Reducer Socket Weld are durable and long lasting and they are available at an affordable price in the market. In Nickel Alloys Half Coupling Socket Weld a pipe is put into a recessed area of a flange, fitting or a valve. They are mainly used in small bore piping. We, NeelKamal Steels supply a comprehensive variety of Nickel Alloys Half Coupling Socket Weld that are available in various grades, dimensions and sizes.These premium quality Nickel Alloys Half Coupling Socket Weld are mainly used in different industries like chemical, oil and gas, sugar, petroleum and many more. The main focus of our organization is our customer so we offer best quality Nickel Alloys Half Coupling Socket Weld to them.These Nickel Alloys Half Coupling Socket Weld are made up of high quality mild steel and carbon steel. All our products pass through quality testing on different parameters so there is no chance of any manufacturing defect. The raw materials that are used in making these Nickel Alloys Half Coupling Socket Weld are of superior quality and they are procured from the trusted vendors. These Nickel Alloys Half Coupling Socket Weld are durable and long lasting and they are available at an affordable price in the market. In Nickel Alloys Coupling Socket Weld a pipe is put into a recessed area of a flange, fitting or a valve. They are mainly used in small bore piping. We, NeelKamal Steels supply a comprehensive variety of Nickel Alloys Coupling Socket Weld that are available in various grades, dimensions and sizes.These premium quality Nickel Alloys Coupling Socket Weld are mainly used in different industries like chemical, oil and gas, sugar, petroleum and many more. 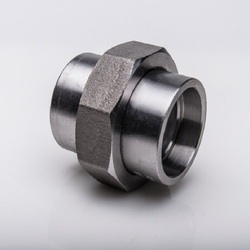 The main focus of our organization is our customer so we offer best quality Nickel Alloys Coupling Socket Weld to them.These Nickel Alloys Coupling Socket Weld are made up of high quality mild steel and carbon steel. All our products pass through quality testing on different parameters so there is no chance of any manufacturing defect. The raw materials that are used in making these Nickel Alloys Coupling Socket Weld are of superior quality and they are procured from the trusted vendors. These Nickel Alloys Coupling Socket Weld are durable and long lasting and they are available at an affordable price in the market. In Nickel Alloys union Socket Weld a pipe is put into a recessed area of a flange, fitting or a valve. They are mainly used in small bore piping. We, NeelKamal Steels supply a comprehensive variety of Nickel Alloys union Socket Weld that are available in various grades, dimensions and sizes.These premium quality Nickel Alloys union Socket Weld are mainly used in different industries like chemical, oil and gas, sugar, petroleum and many more. The main focus of our organization is our customer so we offer best quality Nickel Alloys union Socket Weld to them.These Nickel Alloys union Socket Weld are made up of high quality mild steel and carbon steel. All our products pass through quality testing on different parameters so there is no chance of any manufacturing defect. The raw materials that are used in making these Nickel Alloys union Socket Weld are of superior quality and they are procured from the trusted vendors. These Nickel Alloys union Socket Weld are durable and long lasting and they are available at an affordable price in the market. In Nickel Alloys 45 Degree Elbow Socket Weld a pipe is put into a recessed area of a flange, fitting or a valve. They are mainly used in small bore piping. We, NeelKamal Steels supply a comprehensive variety of Nickel Alloys 45 Degree Elbow Socket Weld that are available in various grades, dimensions and sizes.These premium quality Nickel Alloys 45 Degree Elbow Socket Weld are mainly used in different industries like chemical, oil and gas, sugar, petroleum and many more. The main focus of our organization is our customer so we offer best quality Nickel Alloys 45 Degree Elbow Socket Weld to them.These Nickel Alloys 45 Degree Elbow Socket Weld are made up of high quality mild steel and carbon steel. All our products pass through quality testing on different parameters so there is no chance of any manufacturing defect. The raw materials that are used in making these Nickel Alloys 45 Degree Elbow Socket Weld are of superior quality and they are procured from the trusted vendors. These Nickel Alloys 45 Degree Elbow Socket Weld are durable and long lasting and they are available at an affordable price in the market. In Carbon Steel union Socket Weld a pipe is put into a recessed area of a flange, fitting or a valve. They are mainly used in small bore piping. We, NeelKamal Steels supply a comprehensive variety of Carbon Steel union Socket Weld that are available in various grades, dimensions and sizes.These premium quality Carbon Steel union Socket Weld are mainly used in different industries like chemical, oil and gas, sugar, petroleum and many more. The main focus of our organization is our customer so we offer best quality Carbon Steel union Socket Weld to them.These Carbon Steel union Socket Weld are made up of high quality mild steel and carbon steel. All our products pass through quality testing on different parameters so there is no chance of any manufacturing defect. The raw materials that are used in making these Carbon Steel union Socket Weld are of superior quality and they are procured from the trusted vendors. These Carbon Steel union Socket Weld are durable and long lasting and they are available at an affordable price in the market.